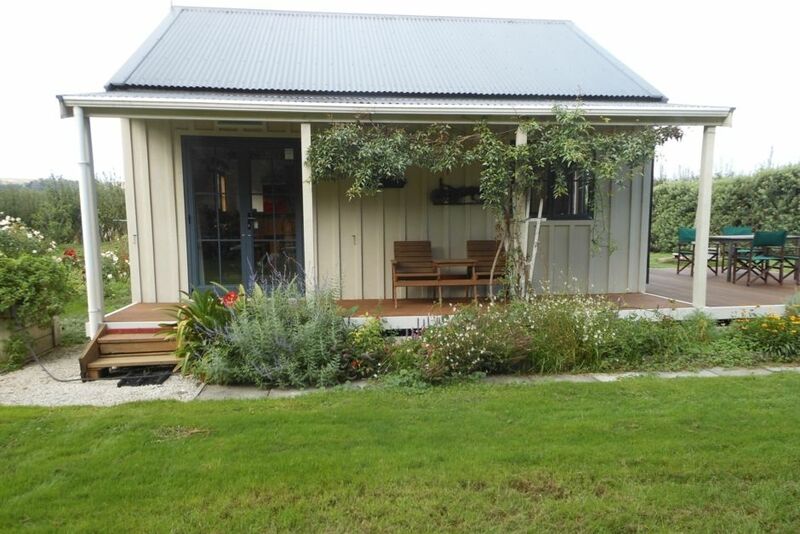 This cottage is conveniently located near to Havelock North and Hastings, being only minutes away from both. It is built within a 2 hectare (five acre) lifestyle block, being about 100 metres distance from the main residence. It is very private, has extensive rural views and is set within nicely maintained grounds. The Louisa Stream (hence the cottage name) runs nearby, and parents of young children must provide necessary supervision. The cottage is not suitable for wheelchair access. The cottage enjoys all day sun, with both a North and a West facing deck. There is a stunning view to the South of Mount Erin, and because there is little light pollution, the night sky is spectacular. There is a large hedge separating the cottage grounds from the adjoining property, which is an apple orchard. At certain times of the year there will be horticultural activity, which may include spraying. The owners have pet hens and roosters. If the hens co-operate (they are rather temperamental) they may produce some eggs for our guests! The birds are about 60 metres distance from the cottage so the crowing may be heard. However, there is generally other birdlife around, such as Pukekos who can screech at night. We do not want any smoking on our property. The decks are only about 400mm high, but have no railing so may not be suitable for small children unless supervised. 3 minutes drive from Havelock North and its shops, cinema and restaurants. 10 minutes from Hastings. Provided by the reversible cycle heat pump. Modern heat pump with remote controller. Dining area has a drop leaf oak table and four chairs. Perfect location, very comfortable & quiet. Great communication with the owners; lovely touches with homemade goodies. Thank you for a wonderful break away in the Hawke’s Bay.